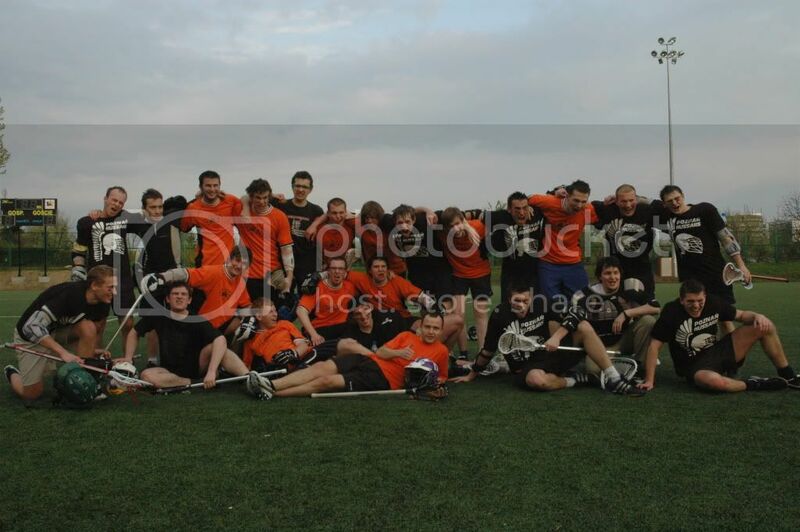 The first, historical lacrosse game! 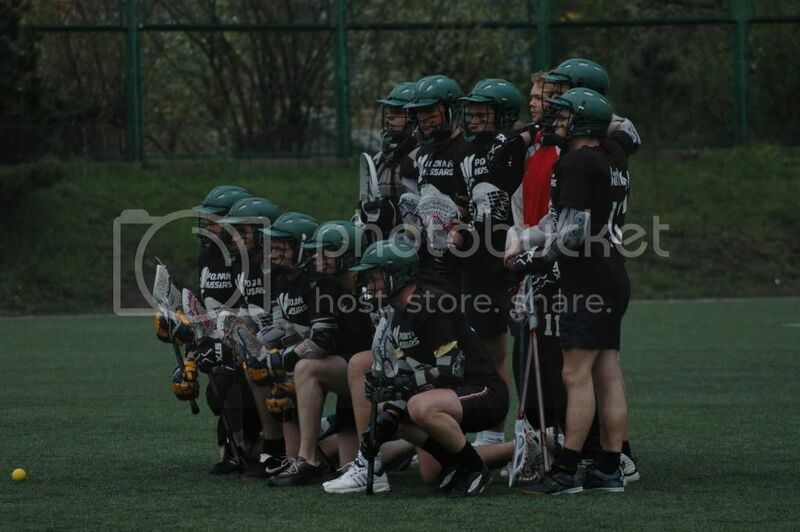 The first historical lacrosse game in Poland took place on the 17th of April 2008 in Wrocław. The first two Polish teams met at the Sztabowa Stadium: the Poznań Hussars and Kosynierzy Wrocław. 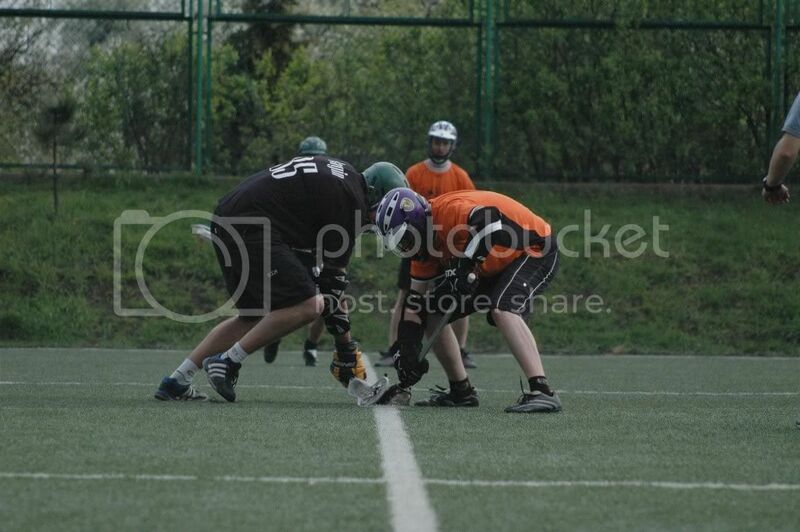 The scrimmage was also the last part of a two week training session conducted simlultaneously in Poznań and Wrocław by two American coaches sent by the ELF (European Lacrosse Federation). Our team arrived in Wrocław for this game with only ten players. Despite that fact we believed in victory! During a week of practices (twice a day) guided by American coach and friend, Dennis McKenna, we learned a lot. We were even taught special lacrosse tactics and sets. We took the 10AM train to Wrocław. People at the station were surprised as always seeing a bunch of guys with lacrosse sticks and helmets. During the ride we were adjusting our pockets and repeating tactics. One of the Wrocław players picked us up from the station and led us to the field. The game started exactly at 4PM. From the first whistle Kosynierzy started to attack. We have to admit that we were a bit confused what resulted in 3 goals scored in the first quarter by the Wroc?aw guys. Fortunately it woke us up! "Ok guys, lets get them" said one of the Hussars. From that moment on it was a different game. Bartosz Wieczorek (assisted by Karol Rutkowski) scored the first goal for the Hussars. We regained our confidence and forgot about the horrible first quarter. We managed to score another 4 goals (Błażej Piotrowski 2, Karol Rutkowski 2) and started the fourth quarter with a 5:3 lead. Unfortunately after playing 45 minutes without any substitutes we started to loose strength. Kosynierzy took advantage of that and scored but the result was still good for us. However 15 seconds before the end of the game the ball went to Wrocław's attackmen in front of our goal. Nobody, including our goalie, expected that. The attackmen without any hesitation scored setting the final score to 5:5.